Below are some of my favorite excerpts from this wonderful talk. I recommend you read it slowly and read it twice. While we are all fools to some extent, Osler expounds on the value of putting one foot in front of the other and slowly progressing. I wish to point out a path in which the way-faring man, though a fool, cannot err; not a system to be worked out painfully only to be discarded, not a formal scheme, simply a habit as easy or as hard to adopt as any other habit, good or bad … The way of life that I preach is a habit to be acquired gradually by long and steady repetition: It is the practice of living for the day only, and for the day’s work; Life in day-tight compartments. Tomorrow is uncertain and yesterday is history. Osler advises that we need to find peace in the moment. The workers in Christ’s vineyard were hired by the day; only for this day are we to ask for our daily bread, and we are expressly bidden to take no thought for the morrow. To the modern world, these commands have an Oriental savor, counsels of perfection akin to certain of the Beatitudes, stimuli to aspiration, not to action. I am prepared on the contrary to urge the literal acceptance of the advice … since the chief worries of life arise from the foolish habit of looking before and after. As a patient with double vision from some transient unequal action of the muscles of the eye finds magical relief from well-adjusted glasses, so, returning to the clear binocular vision of today, the over-anxious student finds peace when he looks neither backward to the past nor forward to the future. In De Oratore, Cicero tells the story of how Temistocles was approached by someone offering to teach him the “art of memory,” which would enable him to remember everything. Temistocles, however, tells the man that he would be more grateful if the man could tell him how to forget. In a similar vein Osler advises unshackling yourself from the daily problems of life. As a vaccine against all morbid poisons left in the system by the infections of yesterday, I offer “a way of life.” Undress your soul at night; not by self-examination, but by shedding, as you do your garments, the daily sins, whether of omission or of commission, and you will wake a free man, with a new life. Long before grit became a subject of study, Osler echoed the advice of Tyler Cowen, that one of the keys to success is the ability to sit and focus your attention and wrestle with your problems. Osler counselled living a quiet and peaceful life, as this would help you with your responsibilities. The quiet life in day-tight compartments will help you to bear your own and others’ burdens with a light heart. 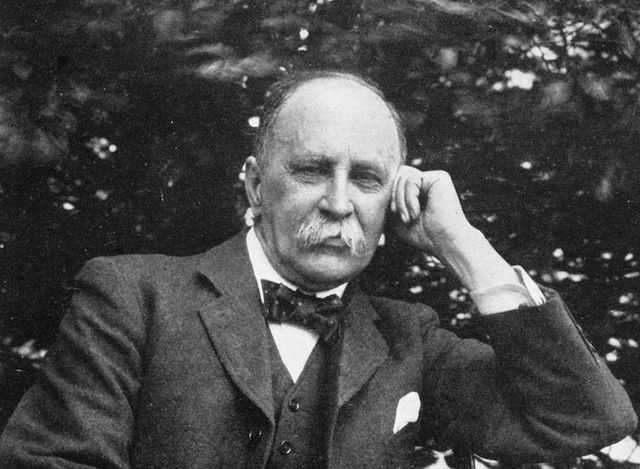 Want more Osler? Check out this collection of his addresses and letters, and this biography.